Unlocked Android Smartphone with 8 MP Camera, Wi-Fi, Bluetooth, and GPS--U.S. Warranty (Black). This item ships for FREE with Super Saver Shipping. 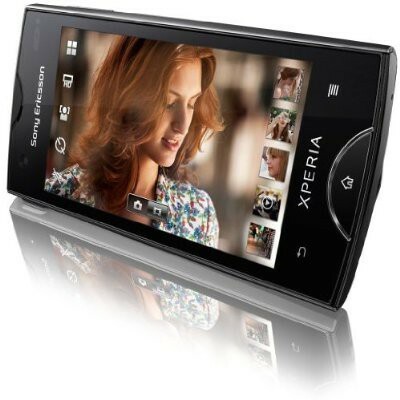 The Xperia ray is fast, powerful and drop dead gorgeous Android camera phone. 9.4 mm thin and with a stylish aluminum frame: meet the Xperia ray Android phone. Watch videos and relive magic moments on the crisp 3.3' Reality Display with Mobile BRAVIA Engine. There's power beneath the sleek surface too - Xperia ray is fast, responsive and has a high capacity battery. When every smartphone on the market looks the same the Xperia ray stands out from the crowd. Elegant, precise lines. Flowing curves. The scratch-resistant mineral glass and 3.3" Reality Display with Mobile BRAVIA Engine makes videos and photos pop right out. Sony's Exmor R for mobile CMOS sensor lets you capture high-quality, bright pictures and videos in poor light conditions. Slim, but oh so fast and powerful. Xperia ray comes with a responsive touchscreen and a high capacity battery. Watch videos, talk to friends and listen to music as long as you want.